I am sure by now you would have heard the somewhat alarming statistic that over 30 per cent of our life will be spent at work. We all know that colleagues can become like family and equally the office can become a second home. Employers are increasingly aware of the importance of providing employees with a workplace that they look forward to coming to everyday – this not only applies to the people they work with but the environment that they are in. It has been proven that the built environment can not only inspire but also relieve and heal as with the case of Maggie Cancer Care Centres, for example, in the United Kingdom. 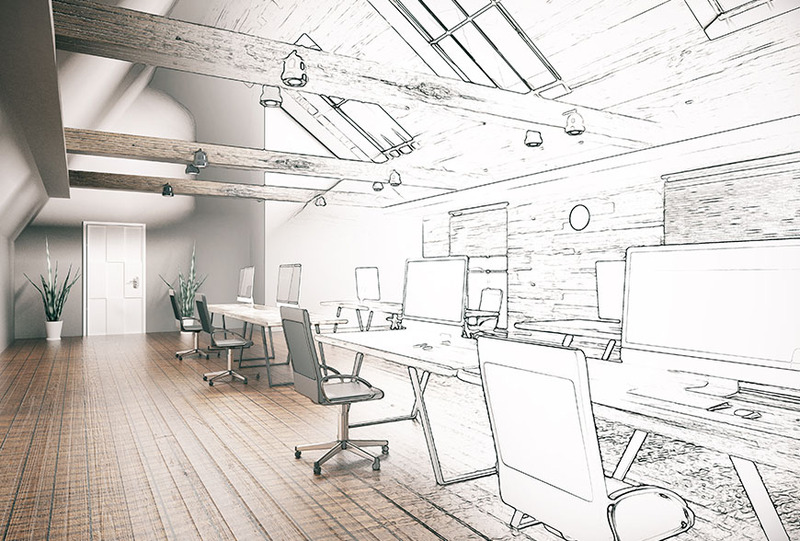 Office design also plays an important role in ensuring that you get the best from your employees, and its evolution over the years has developed to reflect this. We have witnessed a marked shift in the way offices are designed; the market has moved away from fixed bespoke joinery items in favour of more flexible off-the-shelf furniture. In order to meet the demands of a mobile workforce, companies are choosing open plan, activity-based layouts to facilitate a more collaborative approach to work and personal accountability. Workplaces today increasingly reflect this requirement for transparency where solid wooden doors and partitions have been replaced with glazing set in aluminium or steel frames. Also, long shared desks with mobile pedestals are increasingly replacing single workstations. Efficient use of office furniture increases maximizes available floor space and provides opportunities to introduce breakout areas where staff can gather and collaborate, an important requirement among the millennial generation. Along with an open plan office design, we are also seeing an increasing awareness of environmental concerns such as recycling stations and energy saving lighting. This is for several reasons including cost savings, enhancing the company’s image, and of course saving the earth! Gone are the days of dark, monotone offices – office design is now considered an essential part of an organisation’s image and brand. It is the ‘face’ of a company and is often a critical factor in recruiting and retaining talent. Given that the future of this trend is focused on making employees lives that much more enjoyable at work, this is good news for 30 per cent of all our lives!